So I got home from work Friday evening having not really read a lot of news or social media during the day — one of those days — and my wife Ainsley asked me if I had heard about the death of Chester Bennington from Linkin Park. No I hadn’t, but ****. 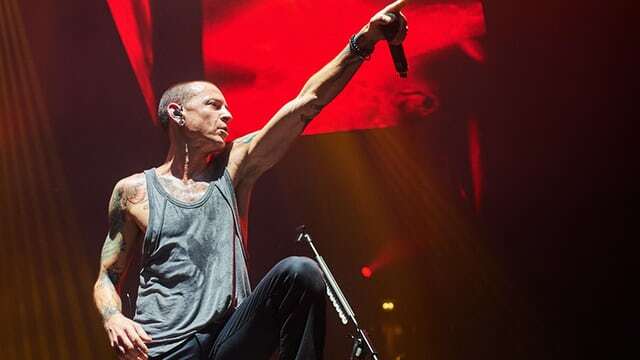 As I have thought about why I felt that way, about why Chester’s suicide impacted me the way it did, I realised that Linkin Park is one of the metal bands that has played a significant role in shaping how I feel and how I express pain. Think also Silverchair. Think Metallica. And more recently, The Amity Affliction (my favourite band right now). For me, it is interesting to think about this – I’m a Christian, and it is my experience that there is a lot of “Christian” music that captures adoration, appreciation and the like (what we call “worship”), a lot of music that inspires excitement and jubilation (what we call “praise”). But music that resonates with pain, suffering, anxiety and depression not so much. Even music that describes Jesus’ violent death by torture at the hands of a mob, does so in a way that focuses on the outcome of his resurrection, rather than the agony and pain that would have encompassed his death. Contemporary Christian music, also, seems to struggle in my experience to capture and resonate with the gritty rawness that life sometimes throws our way. More broadly, I think that contemporary Christianity is most often afraid of opening the lid on the reality of pain and depression that is so real for people in our community. It is marked to me that in the bible, we find that approximately 40% of the psalms are laments, and yet we find it hard to give voice to these experiences today. And that is what I love about bands like Linkin Park – their music resonates with me in a deep and visceral way that gives voice to my internal struggles and helps me feel that I am not alone. For that, I am deeply thankful. Yet, it is a deep sadness for me is that those who give the most real, raw and tender voice to life’s pain are so often afflicted by it themselves. These battles are real. Rest in peace Chester. My thoughts and prayers are with you and your family. Thank you also to guys like Brian from Korn and Joel from Amity, whose tributes to Chester are very much appreciated.